See the latest vacancies at Doncaster Children’s Services Trust. Amanda joined the trust two years ago on an agency contract and took the plunge to become permanent in June this year. She said she’d been aware of Doncaster since being qualified in 2009 – but for all the wrong reasons, so was wary of applying when she was looking for an agency job in 2015. “I knew of Doncaster because its children’s services were failing and I was warned by colleagues to steer clear. However, I saw a write-up of an interview with Paul Moffat and decided to give it a go when I was offered an interview,” said Amanda, a mother of six, including three-year-old twins. She was also used to challenges and problem-solving, as she had spent 15 years owning and running a temping agency, with around 300 staff. 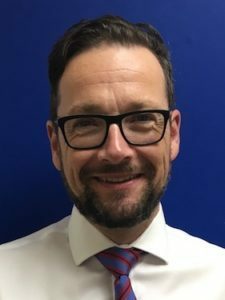 “Morale at the trust was on the floor when I started; there were massive changes going on; the place was swimming with agency workers; and the full-timers felt battle-worn. The transformation is amazing – as practice started getting better, as we picked through the cases, so did the morale and everyone’s chipper now,” she said. 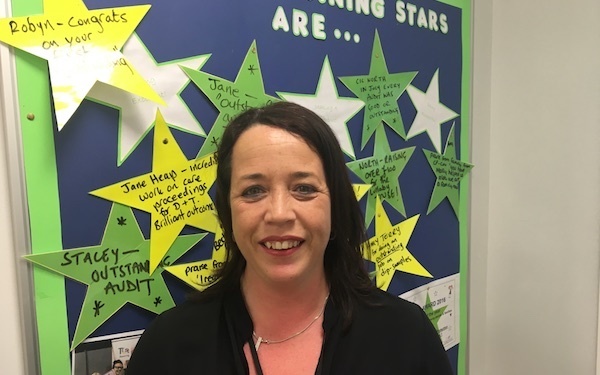 Amanda really liked the way the team grew to work closely with each other and she likes the ethos of the trust which, she says, believes in supporting their staff and encouraging development. And, at the centre of everything they do is the voice of the child, which can be heard loud and clear. “I’ve had a lot of support. For instance, I wasn’t confident with court work when I came. Now, thanks to help from colleagues, I feel really confident and enjoy court work. Everyone helps each other here – we throw issues between each other when we get stuck with something. After all there’s no point in forever re-inventing the wheel,” she said. “Our manager Richard is also very visible and approachable and he gives us lots of praise when he recognises good work. “I’m really settled here and decided I would go for a permanent contract because it’s a big thing to find a team you are happy in and, of course, there are the added bonuses of paid leave and a secure pension,” said Amanda, adding that she hopes to become an advanced practitioner in the next 18 months. 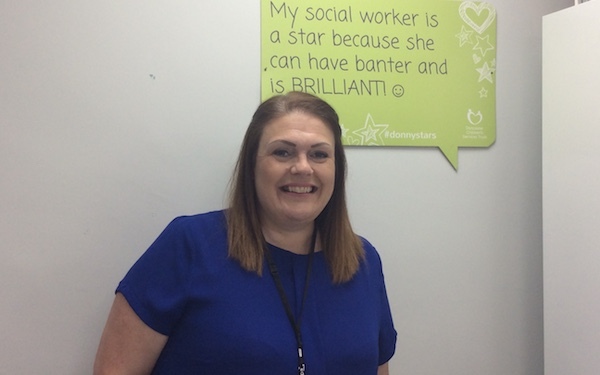 Her colleague, Joanne, who has just transferred to a permanent contract, also started as an agency worker with the trust two years ago after being at a neighbouring authority for 24 years, working her way along from being a care worker to a care officer to a contact officer to being sponsored to train as a social worker. “I stayed there for more than two years after qualifying and then decided it was time to explore different authorities. So I signed up with an agency and worked at Wakefield and Rotherham before coming to Doncaster. Having that experience was the best thing I ever did,” she said. Joanne said she went for a permanent position as she felt it was time to return to stability.